A few years back at the start of Oil journey I listened to the amazing Dr Josie Schmidt speak on why Grapefruit was such a powerful essential oil to incorporate into your daily health regime. Ever since listening to her research I’ve been religiously taking a a drop under my tongue and in my water bottle daily. Grapefruit Essential oil stimulates Glutathione production in the body. Glutathione is the mother of all antioxidants and the level of it in our body is considered to be a pretty good indicator for how long we will live! The more glutathione in our system the better to protect against cell death and mutation. It's also essential for our immune systems to function optimally and detoxification processes. If we are deficient in Glutathione which happens naturally as we age, our body cannot deal with the oxidative stress that occurs on a daily basis. This creates cellular disruption and damage. It protects our cells from the inside out quite literally and that we definitely want more of. Grapefruit Essential Oil is 95-98% pure D-Limonene and it's D-Limonene that restores levels of Glutathione in our cells. Glutathione supplements are crazy expensive with the Bulletproof brand retailing for $90 a pop. Grapefruit is a mere $20 a bottle. The other cool thing about Grapefruit is that it supports the livers own ability to create antioxidants. More antioxidants = a better stress response in the body and less cortisol floating around creating mayhem with our nervous system, impacting our adrenal function and contributing to weight gain. 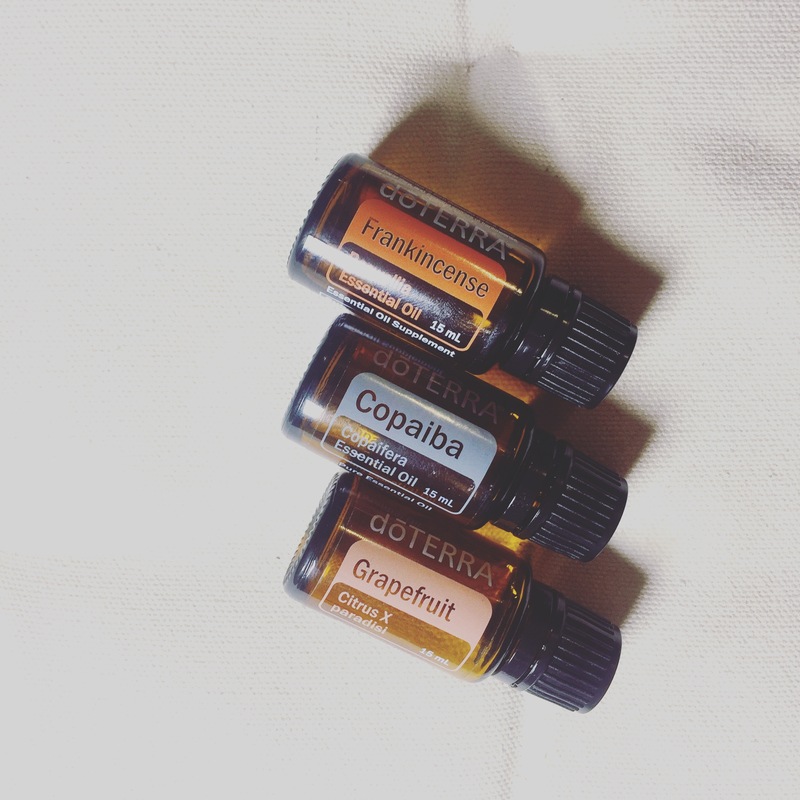 The addition of Copaiba + Frankincense to Grapefruit according to Dr. Dave Steuer (don't you just LOVE Doctors who GET oils?!) creates the perfect, whole body system tonic. These three oils combined work together to target systemic inflammation in the body. Inflammation is the root of all disease. The more we can do to look after and promote a healthy inflammatory response in the body, the better equipped our body is to deal with incoming environmental stress from living a modern lifestyle. Copaiba, Frankie and Grapefruit support adrenal health by regulating cortisol production, support liver detoxification and protect the liver against harmful chemicals, promote a healthy endocrine system through regulating hormone production, support the immune system, promote a healthy nervous system AND brain function by regulating proper production of neurotransmitters. Those three oils can nourish and protect every system in our body on some level which is just so awesome. As Dr Dave stated "these oils are a mechanism to achieve absolute whole body peace." For anyone dealing with an immune system dysfunction, these three oils may be wonderfully supportive and a great addition to your wellness toolkit. I am perfectly comfortable using doTerra’s oils internally because I know that doTerra is the cleanest and purest of essential oils so I choose to take 1 drop of each under my tongue 2-3 times a day. By using the oils sublingually we can bypass the first pass phase of the metabolism which can result in a reduced concentration of the therapeutic compounds. In short, essential oils can have a more powerful impact on the body when (respectfully) using the sublingual method. Again, this depends completely on what you are comfortable with. This won’t be for everyone and that is A-OK because it’s important to do what is comfortable for you. Send me a message if you would like to know more about getting these oils in your hands or simply follow the instructions on this page to create your own wholesale account and order your oils right away. If you mix these in a roller bottle, where on your body would you apply it?